J.M Porup was born in USA, but now lives in Uruguay. He isn’t agreeing with many things in his motherland and isn’t afraid to speak about them. 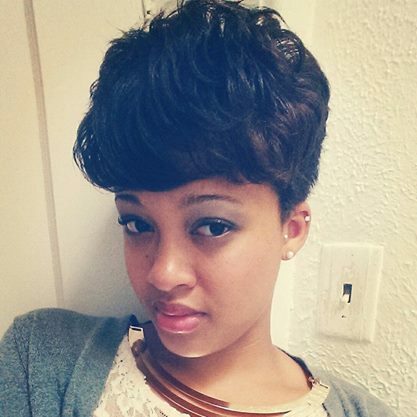 Our next featured writer published a lot of books. We will present to you his last one Dreams Must Die. – What is your last book Dreams Must Die about? – The time for dreaming is over. Jimmy Shade kills dreams. It’s his job. As a member of the elite Dream Police, he defends the Collective against that poisonous nocturnal ooze. But when Shade gets infected with a dream, he finds himself on the run from his former colleagues. He must choose between his love for the Collective–and the dream he cannot live without. Jamie Maltman’s Arts Reborn series have a chance to become a big hit. The author is very talented and the history fiction world he describes is very interesting. It’s a real pleasure to have in our Q&A Mr. Maltman! Enjoy. – What is your book Brush With Darkness about? – The Pazian Republic is similar to Rome in the time of Caesar, where their legions have conquered/integrated much of the known world. Magic has become the stuff of legend and myth. So when dark magic reappears in the hands of one of a formerly subjugated barbarian people, it presents the greatest threat the Republic has ever faced. Throw into that setting Simon Baroba, a fresh young legionary who is better at drawing than fighting, who is faced with the reality of the dark magic and has to deliver that message to the Senate. To do that he’ll have to unlock his own buried creative Talent, navigating through new friendships and rivalries that teach him more about himself and the world, but could lead to doom for his nation, his friends, or himself. Montgomery Mahaffey is one of those rare classical storytellers. Few months ago she published her book Ella Bandita and the Wanderer. The author polished herself in the cold Alaska. It’s time for another Q&A with the next interesting writer. – What is your book Ella Bandita and the Wanderer about? – I once heard an editor say: “Don’t tell me your story is about love and redemption because all stories are about love and redemption.” She was right and mine is no different. But isn’t it marvelous how many different stories can come from one theme? My particular take on this theme involves a predatory seductress who is mad, bad, and dangerous to know – and the people who helped shape her, and an adventurer frozen in grief who won’t go away because he can’t bring himself to go home. 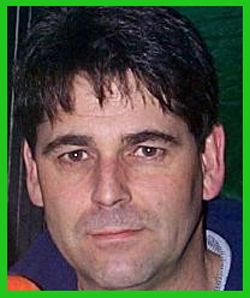 Peter Fryer is our next featured guest. 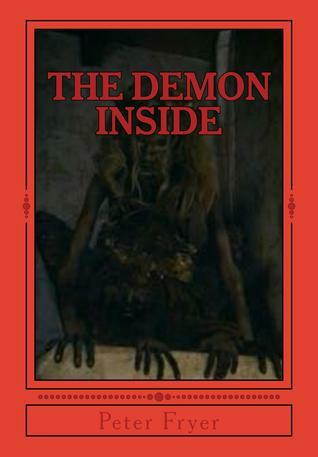 His novel THE DEMON INSIDE: Lost Soul’s is a classic ghost story. He is a professional automobiles salesman with big family, who turns to be a very good writer. Let’s hear from Peter about his new novel. – What is your last book THE DEMON INSIDE: Lost Soul’s about? – The book is about how a demonic possession is defeated by a boy who realizes his soul can only be saved by sacrificing his own life. – I’ve been told I was a good salesman and could probably write a good story if I wanted to. One day I decided to write a short ghost story which developed into this novel. – Trying to overcome the grammar and formatting involved in a written story so it is readable. My lack of education has created a challenge as I did not want this story rewritten by proofreaders or an editor. – Toby is a main character that I believe is someone we all can relate to. When we are honest with ourselves everyone will admit at some point in their life they wished Ill will on someone close to them. – It is finished and self published, but how long before it gets read is up to how well it gets promoted. I am far from an expert in any of the marketing technics needed to do the promoting. – What about your other two books: THE LAST MESSENGER: THE BEGINNING and A Heart from Within: Susans Story? – I’m working on THE LAST MESSENGER: THE BEGINNING but A HEART FROM WITHIN is the draft of this book rewritten. – I’m a person who has many questions about who we are and what makes us tick. I believe that reality is harsh enough that without fantasy and our dreams and aspirations life would be depressing. I believe we all need to escape reality once in a while and this writing has become my escape. – I don’t think I have developed any patterns quite yet. This is my first attempt at writing and also the first year of this new venture. – No because I’ve just published on Amazon and am still learning what it is going to take to increase sales. – Not really that much I could use some suggestions that don’t include sending cash to one of the so called experts. I believe you get what you earn. Prove you can help promote my book before I send you a payment for something you haven’t done. – I will quote you “We do not spend enough time with the people we love the most”. On what age we start to put some more attention on other things instead of our relatives? – Every child clings to their family. I believe when most but not all people reach their mid teens its more of a what can you give me, rather than thank you for all you have done. Reality is a hard pill to swallow but most teenagers are no longer depend on their parents love as much as they depend on their pocketbooks. – You are a professional car seller. What are the most common mistakes the people are doing when searching for a new auto? – They overlook that a vehicle is meant to be a form of transportation and not a status symbol. Be practical and use the extra money to enjoy your days on this earth, instead of wondering if your going to be able to make your next payment. – Well I seen things that can not be explained away by an over active imagination but I have not seen enough to honestly be certain one way or the other. I do think there is a lot more going on that so far, anyone has proven one way or the other. The spirit world is one thing for sure and that is its a billion dollar market exploited by almost everyone one way or another. 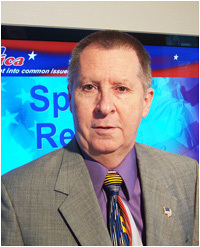 John Gaver is one of the best tax specialists in USA. He is a public speaker, a special guest at radio and TV shows and the author of the book The Rich Don’t Pay Tax!… Or Do They? I was astonished by the level of info and professional insights John gave in his interview for the blog. So take your seat and enjoy! – What is your last book The Rich Don’t Pay Tax!… Or Do They? about? – This book begins by using actual IRS Collections Data (including URLs to download that data from the IRS website), to prove beyond any shadow of a doubt, which income groups actually pay what amount of the federal income tax load. Having established the undeniable existence of a huge disparity in tax collection across income groups, the book then leads the reader down a statistical and logical path, clearly demonstrating that this disparity in taxation is causing a serious, but almost un-noticed threat to our economy. This disparity is causing an alarming loss of tax revenue, investment income, and jobs in the USA. But not being one to predict gloom and doom, without also providing a workable solution, the author devotes the third section of the book, to laying out a solution that easily and fairly addresses the problems discussed earlier in the book. Unlike most books on the subject of taxes or the economy, that can be understood only by policy wonks and PhD economists, “The Rich Don’t Pay Tax! …Or Do They?” doesn’t rely on vague economic theories or abstract terminology. Instead, it leads the reader, in plain english, through each step in the logical and statistical evidence, to a conclusion that becomes clear, once that evidence is uncovered and tied together. You see, I must admit that the initial catalyst – the realization of fact that brought inspiration – for writing this book, was to a small degree, based on selfishness. Certainly, that selfishness was only a small part of my motivation. But that was the catalyst. It’s what started me thinking about the issues that would eventually become the subject of the book. The selfishness of which I speak, was based on my desire to spend the rest of my life living in the land of my birth. I’ve traveled extensively overseas and even lived offshore for a time. In each case, I was glad to return to the USA. International travel is fun and I enjoy immersing myself in other cultures… for a while. But upon each return home, I was more convinced that Texas was where I really wanted to be. So imagine my distress when I realized that events were unfolding that might some day force me to permanently leave my beloved Texas and the USA. In speaking with U.S. expatriates that I met in my travels abroad, I became aware that our most prolific taxpayers, investors, and job creators are leaving the USA at unprecedented rates and that this exodus is increasing geometrically. My concern was that when the people who pay the lion’s share of taxes leave, their portion of the tax load will fall to those of us who remain behind. From the moment that I first became aware of this issue, it appeared quite problematic. But the more research I did, the more I realized how bad the situation had already become and that nobody else was even talking about it. I found a solution. But few people were talking about it, either. I knew then that I had to write a book about this looming threat. It was no longer about my own self interest. Although I prefer to remain in Texas and the USA, I know from experience that I can be quite comfortable in any of a number of nations. Furthermore, being aware of this threat to my retirement lifestyle, I have long since established an exit strategy, should it come to that. This book is for those who are not prepared to take such a drastic step – those who will see their taxes double, triple, or even worse, should the current trend continue. – Research, research, and let us not forget, research. It appears almost as though the government doesn’t want the public knowing some of the information that I’ve uncovered. In fact, when you see some of that data, you’ll see why they might want to keep the voting public blind to some of these facts. They avoid having to respond to Freedom Of Information Act (FOIA) requests, by publishing the data on the internet. But they put that data in places where even many of the most seasoned researchers can’t find it and when you ask where it is, they only give you a starting place and learn that the files aren’t indexed. This means that you have to download and open hundreds of files, to find the one that’s important. Fortunately, I spent a number of years after graduating from college, running IT departments and in that time, I learned several programing languages. So I put that knowledge to good use, by writing a program that would run in the background on my Mac, searching the IRS website for those files. This dramatically reduced the number of suspect files that I had to personally open. Even so, it was still a lot of work. – The research took almost a year. But from the moment I wrote the first word, to the day it went on sale was about three months. – Tell us more about your other writing works? – Many years ago, when I was in college, I spent my spare time – what little I had – writing science fiction short stories and actually managed to get a few published. Even then, I realized that this was probably more related to the sheer number of my submissions, than the quality of my work. But it was fun to see my work in print. Eventually however, I began to concentrate more on girls, surfing, fast motorcycles, and faster cars, and in my spare time, studying. Unfortunately this left no time for writing. Fast-forward 45 years, to the time when I discovered the Kindle Desktop Publishing platform. By this time, I had been retired from the business world for some time (I left my last 9 to 5 job at age 50). So I decided to take up writing again. I wasn’t sure if I wanted to jump back into science fiction right away, so I decided to write a non-fiction book on something that I knew all about – cruise travel. I published that book on both the Kindle and Nook platforms. I followed that book with other non-fiction titles on subjects on which I was already an expert. But as is often the case with non-fiction, most of those books were time sensitive and all but one have been taken off-sale. Interestingly, the one that remains on-sale is that original book on cruise travel. It just keeps on selling and the information in it, though not entirely timeless, is not likely to go out of date for quite a few more years. It’s primarily the tips and tricks that my wife and I have developed over many years and many cruises. The nom de plume that I used for that book was Reginald and Vivian Carpenter, since those names tend to be less common and suggest someone of our somewhat older years, whereas our own names could as easily be a twenty-something couple. The name of that book is “Cruise Secrets of Seasoned Cruisers. Today, I’m working on a book wherein I am examining a wide variety of tax reform plans that have been floating around Washington DC for some time. In it, I use a goals-based analysis as a measure. I’m trying to get it out before election day, but research is taking longer than I had hoped. However, a late October release date is not out of the question. When I reach a mental block, instead of taking my mental blocks out to play with them, I switch gears and do a little work on a science fiction book that has been percolating around in my head for some time. I’m quite pleased with where it seems to be headed. The few close friends and relatives who have read the short story version have all been hugely impressed with the ending. I just hope that I can keep that impact in the longer version. Insane genius. Well,… at least half that. My degree says that I’m an electronic engineer, but I’ve never held a job that required that training. I’ve run several large IT departments, owned several of my own businesses, including a print shop, an IT consulting business, and an import/export business. Although I basically retired at 50, I still occasionally take on a title abstracting job, if the money is right and I can work mostly from home. By the way, I’m writing a book on title abstracting, too. But that book is low on the importance scale, behind the tax book and science fiction book. Today, most of my time is spent either writing or trading in natural resource products, from crude oil, to diesel fuel, to scrap metal, to fine copper powder and more. I also just started importing wine and olive oil. Among those things, writing takes up the most time. – Since I’m mostly retired, I write when I feel like it, which could be any time of the day or night. I’m most productive at night, after the phone stops ringing. Sometimes, I write only a couple of hours a day. But at other times, I have written non-stop for as much as 36 hours. It just depends on how productive I am at the time and when writer’s block sets in. In general, I try to put 5 or 6 hours a day into writing. My primary writing tool is Scrivener. – I’m a marketer at heart. So until every U.S. family owns a copy of my book, I’ll never be “satisfied” with my book sales. On the other hand, I’m far from being disappointed with my book sales. But I’m always on the lookout for ways to improve sales. – Much of my sales come from personal appearances and radio guest spots. I also promote the book through articles on my blog and as a journalist on Examiner.com. Each such article is then promoted on Twitter, Google+, StumbleUpon, etc. On top of that, there are several issue organizations and PACs that promote the book, because it explains the principles of economics in a way that even the most callow of devotees to causes that run contrary to their own can easily understand. I have also been a compensated guest at a booth at a major political convention, where I sold and signed books, with a portion of sales going to the sponsoring organization. – How you ended being a sci-fi books lover? – I have been reading science fiction since at least my high school days, when I read every book written by E.E. “Doc” Smith. Then I devoured the early Heinlein books, including one of my favorites, “Sixth Column” (renamed for a time to “The Day after Tomorrow”). In my late teens and early twenties I wrote a number (lots) of sci-fi short stories and actually managed to get a few published. I stopped writing sci-fi short stories in my twenties, due to changing priorities. Besides college studies and later work, I had to split my remaining time between girls, reading, girls, writing, girls, fast cars, girls, fast motorcycles, girls, hang gliding, and, oh yes, girls. I wasn’t about to give up girls, reading, speed, or hang gliding. Although I had managed to get a few short stories published, I had no reason, at the time, to expect that my writing would ever be more than a barely profitable pass-time, unless I was willing do devote large blocks of time to it. So my science fiction writing got shelved for more than 40 years. But now that I’m semi-retired and have the only girl I’ll ever need, I have the large blocks of time that I need to devote to my writing. So my first full length science fiction novel is now in process and will follow my next non-fiction book, on which I’m currently working. – You traveled all around the world. Please rate the Top 3 places that you have been? – Panama: They have moderate temperatures year-around, the best coffee in the world, fabulous and inexpensive medical care (free to tourists), fresh tropical fruits that are to die for, and they love Americans. What’s not to like? The cost of living is low and the country is has the fastest growing major economy in the world. It’s a great place to visit, invest, or retire. Hong Kong: It’s capitalism on steroids. The energy is palpable. Every resident of the city either owns a business of his own or knows, in his heart, that he is going to own a business before long and is working toward that goal at all times. They are the hardest working people in the world and their excitement about what they do is contagious. It’s also very safe in all but a few areas – probably safer than most U.S. cites of more than a couple of million population. Belize: Scuba diving! More than 100 identified dive sites, including the Blue Hole and the Queen’s Fingers. Belize is also home to one of the few decompression chambers in the Caribbean-Atlantic area. I’ve never had to use one, but it’s nice to know that it’s there. The country is english-speaking, having been British Honduras until 1981, when they got their independence from Great Britain. They love Americans. It’s a developing country with lots of opportunity. Their healthcare leaves something to be desired, but just across the Mexican border, in Chetumal, they have great healthcare and shopping. It also seems unfair to leave out Dufftown, Scotland, in the heart of Speyside, which is one of the most beautiful places in the world and home to more than a dozen of the worlds best whiskies. There’s also Capri, Italy, which is home to the Blue Grotto and tons of great scenery. Florence, Italy has not only the art, but the best chocolate gelato in the world. Then there’s Monaco, which is… well… Monaco. That word says it all – yachts, grand prix, casino and on and on. – Your opinion on current USA tax situation? What will be good to be improved? – The income tax has turned the IRS into a behemoth that is completely out of control. As a result, more than 3,000 Americans, with a net worth of more than two million dollars, formally renounced their U.S. citizenship last year. What started out as a very low and essentially flat rate tax that only taxed about 500 people in the entire nation, now reaches into the pockets of even the poorest Americans, via the corporate income tax. It’s not just Democrats or Republicans. The leaders of both parties have used the IRS to spy on the economic affairs of their opponents. Both parties use the tax code to favor their big donors, at the expense of everyone else. Changing which party is in control only changes which big donors get the biggest tax breaks and those tax breaks always come at the expense of those who cannot afford to hire lobbyists. Now that Congress has tasted the power that the income tax gives them, even a flat income tax, with no deductions would not stay flat for long and new deductions would start to appear with the next session of Congress. All this makes it clear that taxing income is not the answer. By contrast, a properly configured sales tax would resolve all of the problems with the current tax code. But configuring such a tax would seem to be a daunting task. Fortunately, that work has already been done for us. Back in 1995, three Houston businessmen hired economists, pollsters, finance geeks and other experts, and gave them a simple, but broad objective – design either a fix or a replacement for the current tax system and provide justification. What they came up with eliminates the IRS, is completely transparent, reverses the tremendous capital flight that is now taking place, reverses the offshoring of jobs, completely un-taxes those living in poverty, and encourages savings and investment. It’s called The FairTax and is currently in the Ways and Means Committee as H.R. 25. It has 85 sponsors and co-sponsors in both houses. The only thing keeping it from becoming law is that the leadership of both parties are blocking it, since they realize that if the FairTax becomes law, more than 80% of the lobbyists who constantly fawn all over them will suddenly be out of business and then they will actually have to listen to their constituents. What a frightening thought it must be to them – members of Congress actually having to listen to their constituents. The Rich Don’t Pay Tax! …Or Do They? 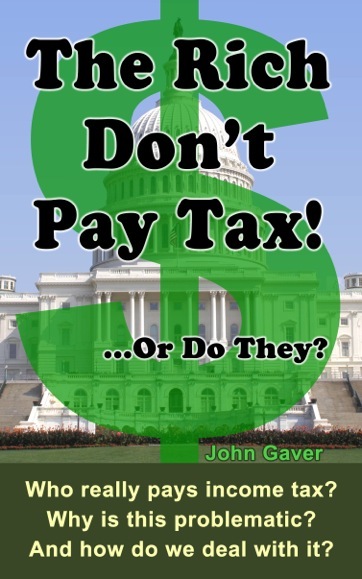 Tags: author, book, interview, John Gaver, tax, The Rich Don’t Pay Tax!... Or Do They? 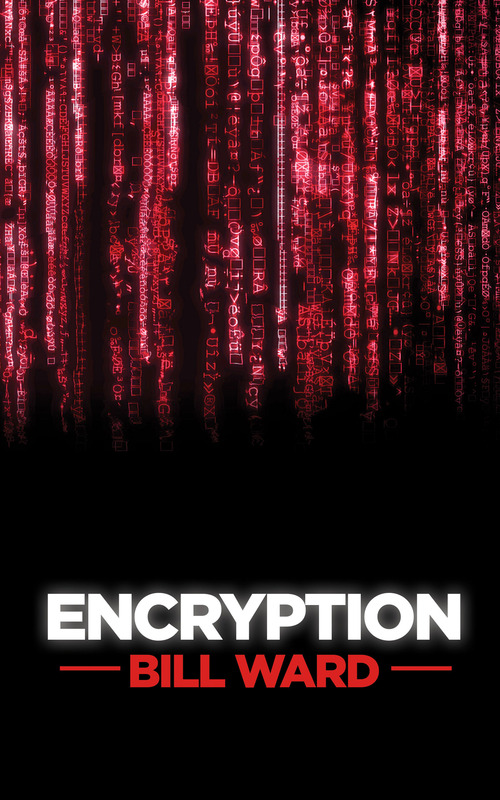 Bill Ward published his second book Encryption in February. It’s a fast paced thriller. The reviewers find a lot of common things between Bill Ward and Michael Crichton. In the following interview another talented indie author speaks about how he transformed from IT specialist to a successful writer. – Bill, What is your last book Encryption about? – In a small software engineering company in England, a game changing algorithm for encrypting data has been invented, which will have far reaching consequences for the fight against terrorism. The Security Services of the UK, USA and China all want to control the new software. The Financial Director has been murdered and his widow turns to her brother-in-law to help discover the truth. But he soon finds himself framed for his brother’s murder. When the full force of government is brought to bear on one family, they seem to face impossible odds. Is it an abuse of power or does the end justify the means? Only one man can find the answers but he is being hunted by the same people he once called friends and colleagues. – My new thriller Encryption tackles very topical issues. The leaks by Snowden reveal how everything we write is being read by the world’s security services. Encryption will make readers think about our respective governments and the things they do in our name. While the story is fundamentally a murder mystery it raises important questions about our privacy, the role of the NSA and GCHQ in our daily lives, and what sort of world we want to inhabit. – I had to explain the technical side of Encryption in such a way that non-technical readers would understand. – Well the main character is Peter Hammond and he works for MI6 so in truth there are few similarities. I guess I did give him my beliefs with regard to values. – It took me 6 months from start to finish. – What may you say about your first book Revenge? – It’s an action packed crime thriller dealing with terrorism and a number of people seeking revenge for different reasons. It’s fast paced and has a number of twists you won’t see coming. – I have spent my life working in IT and lived and worked around the world. At the beginning of 2013 I decided to retire from the corporate world and write thrillers. I had always written bits and pieces but finally had the opportunity to complete a full novel, which was Revenge. – I am sat at my compute a large part of the day but my partner runs a business from home and I have a house full of kids so I have a flexible timetable. I am very happy with the sales numbers but I invest a great deal of time in promoting my books. – I have tried to immerse myself in the writing community and support my fellow authors. I contribute to many forums including Facebook, Goodreads, RaveReviewBookClub and many more. – You’ve got very wise sentence: “Wherever you go you will find good and bad people”. How many years you need to form it? – I travelled all over the world for my job from my late twenties to my forties and after a few years of being exposed to many different cultures I had formed this opinion. – Did you ask yourself why you start to write so late? – I had a very successful but demanding IT career and kids from a young age so I never really found the time to focus on my writing. – How the English football fans are so much in love for their clubs? Even if they play in Division 5, they will still coming to the stadiums to cheer for them. 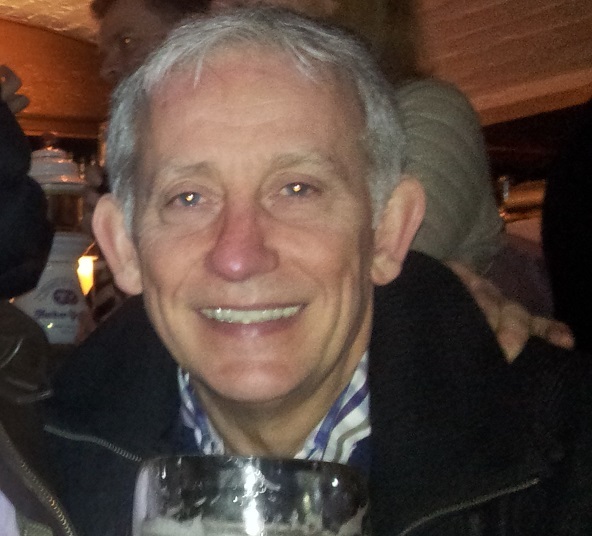 – I am a massive football fan and travel 4 hours each way to watch West brom every other week. My Dad took me when I was a kid and I take my children so I guess it’s in our blood from a young age. – You’ve got seven daughters, how many rifles did you have when they were growing up? – I have never had any significant problems with any of my children. I have been extremely lucky they are all beautiful, happy and healthy. – Do you think we should take Indie authors seriously? Absolutely. I have read great books by traditionlly published authors and by Indie authors. Many famous authors such as JK Rowling, Stephen King, John Grisham were rejected by publishers multiple times. Today an author in a similar situation is likely to turn to self publishing. There are many great Indie authors! 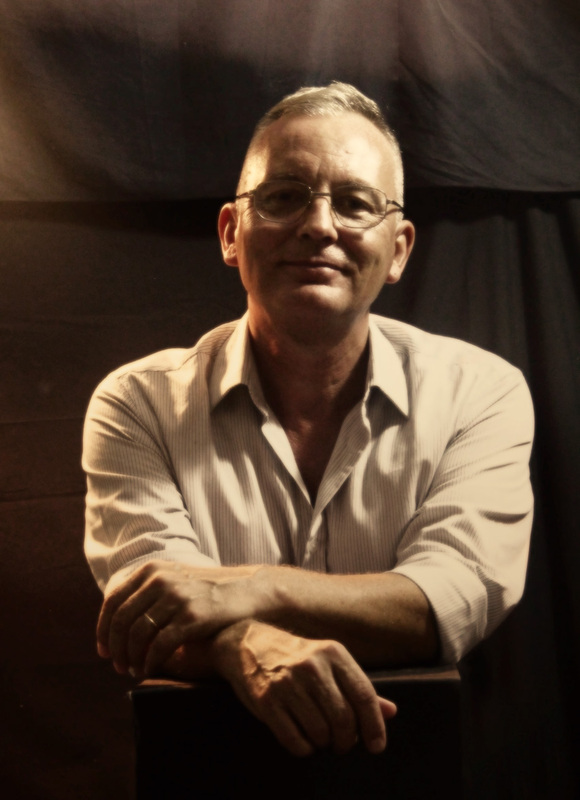 C. S. Burrough is our next guest author, who agreed to share his thoughts in Q&A for the blog. Colin wrote a history novel Or Forever Be Damned. His experience in theater adds another exotic flavor to the writing. Let’s enjoy the interview. 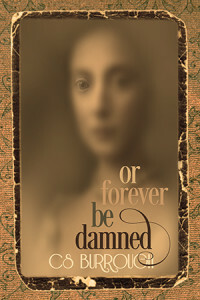 – What is your book Or Forever Be Damned about? – It is an historical saga spanning eight decades, following the lives and families of two very different women who escape the slums of northern England’s ‘Cottonopolis’ in the 1930′s Slump. – I was always fascinated with historical detail and love reading fiction classics, including family sagas. I also grew up around, and then worked in, the theatre for many years, so have a thorough working knowledge of that industry, its people, background and traditions. This peculiar mix of ideas has whirled around in my head, like a spectre which I wanted to exorcise, work out of my system by expressing it in my own unique fictional form. After writing various other genres I wanted, for a long time, to create my own dramatic saga, using my combined knowledge of history and theatre, and incorporating my own literary style and character creations. – My own need for historical precision. I spent two years painstakingly researching the novel’s historical timeframe and geography, so as to accurately position each fictional character: geographically, circumstantially, socially, professionally, emotionally and stylistically. The more fine detail my historical research uncovered, the more fascinated I became and the more compelled I was to delve even further. It became challenging imposing my own limits onto this exercise, tempting to continue indefinitely. – There is no orthodox protagonist verses antagonist. Instead I have two main female characters, each sympathetic yet flawed. Mona, who we meet first, is a poor but respectable Protestant teenaged factory girl, tormented by sibling rivalry over her favoured artistic younger brother, Ambrose. Untrained and against parental orders, stagestruck Mona resolves to outshine Ambrose, furtively pursuing a theatrical career. Into her journey, Mona unearths her younger bête noire, Kat, a Catholic rough-diamond, a child-veteran entertainer who, conversely, yearns to escape theatre life. So begins their lifelong enmity. The reader decides who is the more sympathetic, but is unpressured into siding. Neither woman is based on anyone from my personal life. Their various relatives, too, are entirely fictional, an exercise in human drama, explorations of the human psyche. – This story took two years and is published. That timeframe is normal for anything I write. – What about your other novels, short stories and novellas? – I’m a Sydneysider who writes. I love cats, sunshine and beaches, ride a scooter and read a lot. My name is Colin. – When tied to a project, I write at all times of the day and night. I also go for long periods without writing, to ‘recharge’ my creative motor. – It is too soon to say about this book’s sales, but I am delighted with its critical reception. – I mostly share information about it on social media. – Which is tougher to write, a theater production script or a novel? – I wrote scripts and produced theatre as a full time drama student. I find novel writing the hardest most demanding as that requires so much more narrative than mere dialogue and staging. Narrative style and rhythm is the essence of good literature, for me, not just plots and characters. – Your version on who was hiding behind Shakespeare’s works? – I believe he wrote his own material, borrowing from ancient Greco-Roman classics. I believe he also at times wrote under instruction from powerful political propagandists. I am unconvinced that his actual penmanship needs calling into question. He learnt on the job, in theatre, becoming resourceful and erudite via his educated patrons. – As a book reviewer, what are the most common mistakes that new authors are doing in their first novels? – Not investing in having material professionally proof read. I’ve read and reviewed some really clumsily thrown together work. As a reviewer I’m far more forgiving than most readers I know who, once confronted with enough typos and errors, will just never consider another book by such and such a writer. Making writing choices based on what’s popular. ‘Impersonations’ in attempts to cash in. Whether they’re aspirants of the fantasy, supernatural or erotica varieties, there’s this sense of ‘if he/she can write this, so can I.’ But fluke alone, not talent or skill, had much to do with those ‘he/she’ successes. The result is one great generic mass. Popular trends are creative comfort zones where operators gather for the safety in numbers, then struggle to compete with each other. It’s a mistake getting lured anywhere just because multitudes are already there and seemingly doing OK. The downside of following fashion is becoming invisible, indistinguishable, unmemorable. 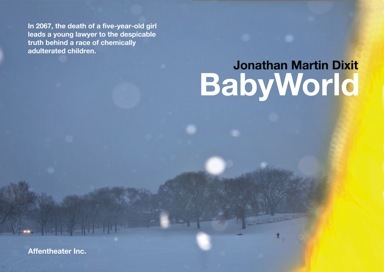 Jonathan Martin Dixit’s Baby World is something very different from a typical sci-fi. This is his first published book. 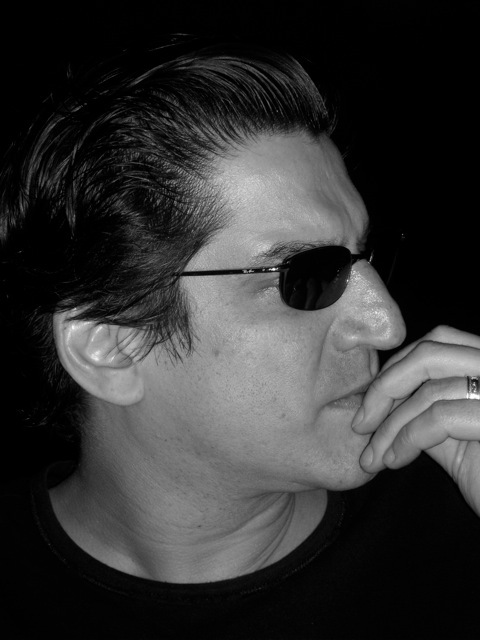 Check out more about him and his novel in the following interview. – What is your book BabyWorld about? – At its heart, BabyWorld explores the psychological dysfunction occurring in families suffering from suppressed trauma. Ideologically, it’s a sci-fi fairy tale satirizing the adulteration of children by modern society—the economic role they are now forced to play. Personally, I’m looking for readers to tell me what it’s about. – While working on a treatment for a screenplay about the 70’s Canadian snooker player Cliff Thorburn, I grew tired of representing other peoples’ work. My wife suggested that I write something I could call my own. She was in her internship at the Hinks-Delcrest Centre, doing psychodynamic therapy with children. So, inspired by her work, on the day after St. Patrick’s Day 2007, I hammered out the first four pages, using an old manual typewriter that an at-the-time old Scotsman, Willie Miller, now deceased, years before traded me for a $100 bar tab. BabyWorld was outlined in 24 hours, though it took a wee bit longer to write. After losing arguments with my tenacious editor Julie McArthur (http://www.juliemcarthur.com) in the final stages before uploading, cutting some of my favorite parts out was the hardest thing. – Well, Sinika Reichman is a nine-and-a-half year old lawyer, who is having problems understanding whether she is a child or an adult, living in Toronto fifty years from now. 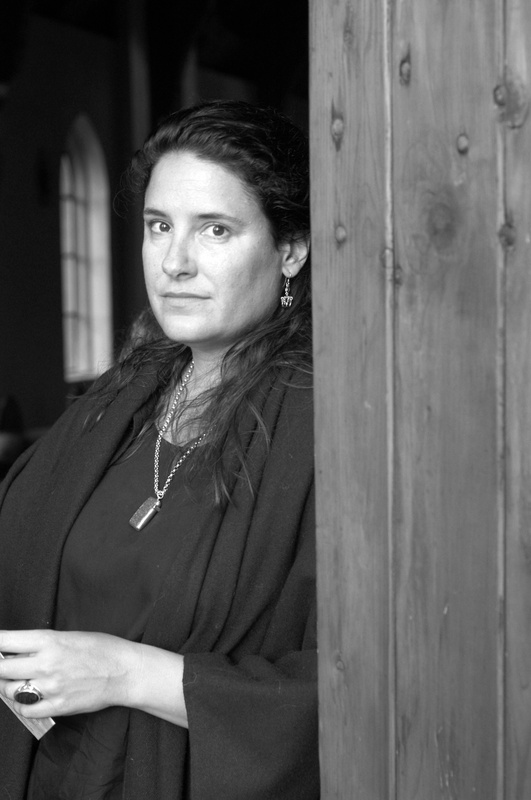 I thought that by disclosing to the world what I think about myself in my first novel, I would be entitled to tell the world what I think of it in my second. There are also three Jonathans, a Jack, a Jo, and a Nathan in my story. – I completed the first draft in a little over a year. Over the next five years, I wrote four drafts of it, two to four sets of revisions within these versions. (At one point, Sinika’s cat talked—homage to Raul in Howard Chaykin’s American Flagg—and there were robots. I swear: there were robots!) After a negative but encouraging manuscript assessment by Jeniffer Glossip, a well-known Canadian editor, I revised it two more times. I thought it was then perfect. But then, after Julie McArthur was finished showing me it was not, I completely rewrote it. Seven years after its inception, it’s now a lot like the first draft. – Because my wife has super powers, she and I self-published BabyWorld (cover, formatting, uploading, marketing) over this past summer through her publishing company, the Affentheater (http://affentheaterinc.com founded 2012). A must hear is Thomas King’s Massey lectures (2003 http://fw.to/CBC10dY) His conjecture: “The truth about stories is that that’s all we are.” It goes beyond the metaphor in BabyWorld that we are in charge of writing our own stories; stories are the essence and substance of who we are. They are the basis of our reality. – Riding myself from the fear of confronting my unconscious (by any means necessary) followed by revisions after revisions until the music inherent within the writing emerges. It doesn’t always work; it doesn’t always sound pretty; but it’s got a good rhythm and I can dance to it. – In the saturated-yet-growing and ever-changing market of self-publishing, if one is interested in sales meaning money, one should not be taking more than a couple of months to write and distribute their novels to their well cultivated audience. The Amazon/Kindle free promos are great ways to get new work out to a vast audience, and I certainly appreciate those people for the hundreds of free downloads and both e-books and print editions that have been purchased; however, there is a deep sadness above the mere devaluation of a downloaded book that will never be read… Maybe, someday, someone will find the old file and look at it, not delete it; maybe they’ll read BabyWorld. Maybe… I should write another book… and call it… Kannibalism In Kanata. – Twitter (https://twitter.com/DixitAuthor), Facebook (https://www.facebook.com/Jonathanmartindixitauthor), Goodreads, Website (http://jonathanmartindixitauthor.com), TO bookstores (She Said Boom and Bakka-Phoenix), courting book clubs, street/bar/coffee shop posters, billboards, book launch party, newspaper articles (http://www.woodstocksentinelreview.com/2014/08/29/futuristic-crime-mystery-explores-dysfunction-caused-by-suppressed-trauma), reviews, bloggers, word of mouth: all these and more. – It was your first book. What kind of mistakes you made during the entire process from writing to publishing? – Not engaging in peer review earlier. Not writing the manuscript in publishing-ready format—this would have saved a great deal of time. – You were owner of the bar The Duke of Gloucester. Can you tell us some interesting story about your customers that worth to be part of a book? – As Sinika’s bar-owning grandfather tells her in Chapter 15: “[That kind of information] would be—what do you people call it—privileged?” Read the book; it’s full of stories from my days at the Duke. – As a movie producer, how do you value a script and what are you searching in the story? – A concise presentation of multidimensional characters interacting in ways naturally born from the narrative, resulting in spectra of possible meanings and interpretations: a short story always works better for translation into film; most novels shouldn’t be adapted into films. Many early readers of BabyWorld told me they saw it as potentially being a great film—but we all know how such stories are received by the film industry. Just ask Terry Gilliam about his experience in producing his brilliant film Tideland (2005). Gearoid O’Neary debuted as an author with his book “Where’s Merrill”. It’s a genealogical mystery thriller. The novel is based on a real life events. Let’s learn something more about the book and the author. – What is your book Where’s Merrill about? – This novel is based closely upon a real-life ancestry research case, and written in the style of a mystery thriller. In essence there are two stories in one novel; one set in the present and the other in past times. 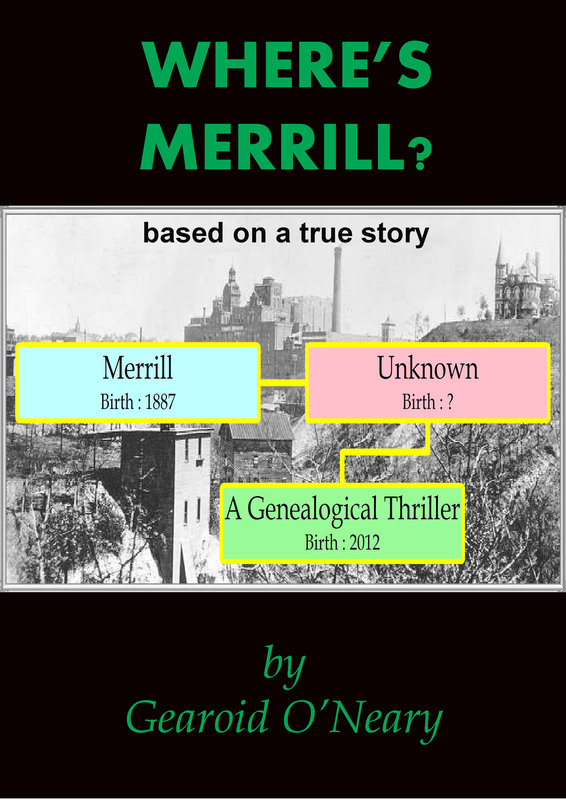 The genealogist in the present gradually unravels many secrets about the family of an ancestor called Merrill. This man disappeared from the planet in his middle age over 75 years ago. No death record. No burial. Nothing. – Why did you decide to write the story? – I am a professional genealogist, and I discovered the mysterious facts about Merrill and his ancestors. The astounding true story just had to be shared. – Trying to write a logical story which does not follow traditional chronology, at the same time as dropping in many clues without giving the end-game away. Then, upon completion, I had to disguise all the real-life character names in order to protect the descendants’ privacy. – As advised, Merrill was a 100% real person. He was a very complex and secretive man, so researching his life took many unexpected turns. At one time, Merrill was a very wealthy and successful businessman. How could he just “disappear” from his loved ones and work associates? – The research took about one year. The writing of the novel took a further 3 months, and then another 3 months was needed for the editing and “privacy” amendments. I initially self-published on Amazon and Smashwords, and these processes only took a week or two to perfect. 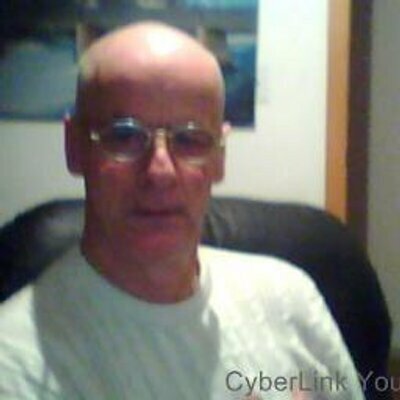 – I am a qualified Civil Engineer and former leader of a large geotechnical business, cast aside by the worldwide economic recession 5 years ago, aged 50, to fend for myself. I reinvented myself as a genealogist and writer. I was born in England but my ancestors were Irish. I have returned to my Irish roots and I now live in the wild west of Ireland, miles away from the trappings of modern urban civilization. – I write my best stuff when I get up just before dawn, and scribble away watching the sun come up. I often write for four hours non-stop, with just coffee and tobacco for company. – As a virgin novel author, I am amazed by the sales of my debut book. I never expected a readership in the 1000’s. On some days, I have appeared on Amazon’s best-seller listings alongside the likes of Stephen King and Jeffrey Archer when 40 or 50 copies of Where’s Merrill were bought within a few hours, after a promotion. This is quite a thrill. Then my work disappears from the best-sellers, but Stephen & Jeffrey remain there permanently! A follow-up 2nd novel is in progress, but I only write for 3 months of each year. – I use social media, particularly Twitter, just to publicize my novel to as many account-holders as possible. Re-tweets in the literary field can lead to exposure to 1000’s of potential readers. Whether anyone ever reads their Tweets is a different question! I find that getting book reviews published in popular newsletters or on blog sites is the best way of gaining new readers. – How do you find the passion of genealogy? I was always very interested in how tough it is to find the roots of a family, a few centuries back. – I like your description of my occupation, i.e. the “Passion” of genealogy. It does become a passion. It’s like a drug or religion, trying to find out more about deceased members of nondescript families, regardless of whether you are paid for the research or not. The main thing is to help out the client. When you fully understand your ancestry and background, then you understand yourself and some of the reasons for your existence. It is tough work trying to break down brick walls, but one breakthrough in a hundred makes it all worthwhile. 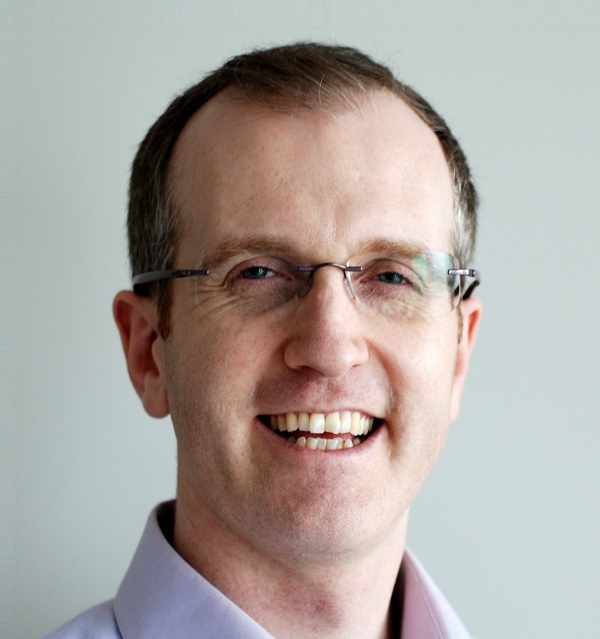 – What is the story of your name Gearoid and what it means? – My true baptismal name is Gerard Neary. When I wanted to publish my novel I was surprised to learn that a different Gerard Neary was already an established screenwriter. Like actors, each media artiste needs a unique name, so I created my pen name of Gearoid O’Neary. 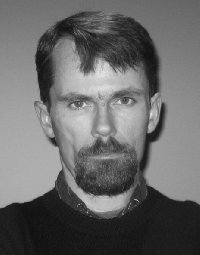 Gearoid is the old Gaelic Irish language version of the forename Gerard. – Your opinion or Ireland/England never ending disputes? It would take 50,000 words to answer this question properly. Like anywhere else in the world, past political decisions caused unrest for decades. The modern-day Republic of Ireland (not Northern Ireland) is different. Irish citizens are extremely forgiving and forward-thinking. Whilst Scotland is considering independence from England, there are groups in Ireland who support the idea of Ireland having closer political ties to Britain (rather than the EU), for financial reasons. When Ireland went bankrupt in 2008, English financiers were the first to offer assistance. Times change, and memories of historical conflicts fade.